See part one in last weeks issue. Champing at the bit, the cash-strapped European Premier League high fliers went on a spending spree purchasing players and coaches from across the planet, causing a crisis of identity for many loyal fans. Teams with restrictions to two or three overseas players were now swamped by them. Once players, coaches and team regalia remained constant, loyal, and tribal. Now the shifting sands of transfers, debt recovery, sponsorship, image promotion and the desperate adjustment needed for success made teams almost unrecognisable ... and now fans’ loyalties also began to grow fickle. It’s hard to pin a loyalty badge on constant flux! Some argued that the importation of expensive foreign players lifted the quality of the sport and that meant “success” i.e. debt recovery, or “keeping the dogs at bay” (survival of the club) which provided fans with the ability to watch their team’s beautiful skills and appreciate a higher quality of play. Or did it? Increasingly the cost of actually attending sporting events has risen, often beyond an average family’s means. Partly because attractions like comfortable seats, luridly dressed-up pre-and half-time entertainment as well as colourful pyrotechnics are expensive to provide, but mainly because of the personnel cost of maintaining a competitive team (buying players, trainers, fitness technicians, physios, psychologists etc etc). It is arguably cheaper and more comfortable to sit at home and watch your favourite sport on large screen TV, with close-ups, “expert commentary” and replays of every crucial event, along with time-saving record/play-back facilities. Thus there is a trend now being entrenched, of gradual decline in overall attendance at all Australian sporting events (Bureau of Statistics). Of course, the “big ticket” events such as Grand Finals, State of Origin, Melbourne Cup and the Australian Open, can always boast record attendances and “great atmosphere” because of the hype surrounding them with the corresponding ratings hikes and ads bonanzas. It is all dressed-up Bread and Circuses, complete with conga-lines of A-Lister celebrities in attendance. Yet at the crucial base-level, the suburban and town-level nurseries of talent and the hardly-noticed minor league matches, support, engagement, involvement and enjoyment – all are languishing. Some years ago scandal erupted around FIFA’s allocation of the soccer World Cup to Russia and Qatar. 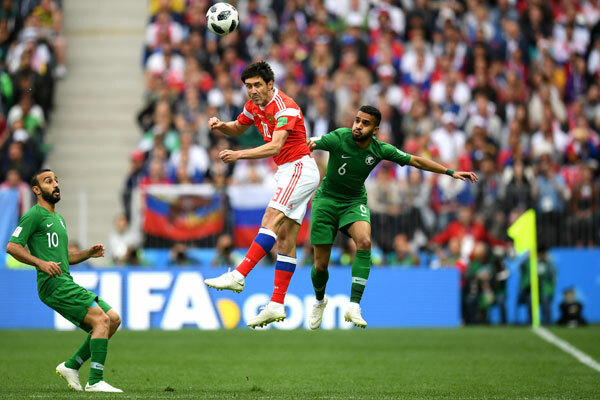 Much wealth and prestige comes to a nation hosting the football World Cup – it is the most watched event on global television (3.572 billion for the Russian World Cup – over half the world’s population). Money had changed hands and Football Federation Australia too, was implicated in using some $5 million of its futile $46 million bid to bribe members of the Hosting Committee. Funnily enough, US agencies (mainly the FBI) carried out the investigation into FIFA corruption – Sepp Blatter and his cronies were given their marching orders with much outraged flim-flam, but Russia and Qatar held their right to host the World Cup while the much greater corruption continued all around. Watching the World Cup in Russia, it was noticeable that garish and ever-present new sponsors now appeared at every game: the red and yellow garbed McDonalds kiddies escorted the players onto the field and Budweiser beer ads filled each stadium. These were on top of the already dominant Coca-Cola and Visa sponsors, making the US mega-companies’ presence there ominous. Sure enough, the announcement came through during the course of the tournament: the USA would host the 2026 World Cup. Soccer’s Association Football is not a major part of the American sporting calendar. The US had already hosted the World Cup in 1994, and had hosted numerous summer and winter Olympics. There were many other countries: Morocco, China, Japan, Iran, Chile and yes, Australia, who had a “culture” of football and an entitlement to host for the first time, yet there was no uproar, no challenge, no claim to injustice – the power of empire had made the decision for 2026 a foregone conclusion. Corruption in modern sport is a lot more insidious than a few greedy administrators, dodgy cricket bookies or poorly-behaved footy boofheads – it is now endemic, in the blood and the thinking of every sports official in the country, anxious to promote their fixture, their club, their sport, their “brand” in the only way allowed to them: wedded to capitalist investors bent on success, or more honestly, profit. Capitalism has always seen competitive sports as its own expression: Social Darwinism in action, where the strong devour the weak and national leagues succumb to World Cup matches being played every week, in distant venues that can only be (conveniently) televised. So it should come as no surprise that our current “Summer of Sport” appears to us in very limited, controlled fashion. Australian Open Tennis is now owned by the 9 Network, which clearly prefers American expert commentary to our own humble brand – Nine has always had a tendency to “Make America Great”, regardless of reality. Our cricket is confusingly divided between Test, One Day International and Big Bash categories, with some being unavailable on ‘free-to-air’ television. Even more galling is the fact that Socceroo matches in the Asian Cup are totally restricted to Foxtel pay-for-view and don’t even get a replay on free-to-air. This is because our craven Federal government has now decided the criteria to ensure “events of national importance and cultural significance” no longer apply to Australia’s national football team, current holders of the Asian Cup! And so Murdoch has sold his film interests to Disney and poured more into sports and pay TV news. The course ahead is no mystery: hook viewers with sport, brainwash with hate-fear news, keep the world turning in a rightward political direction, maintain influence. There is a strong correlation of pay TV news expansion and western societies’ tearing themselves apart with resurgent nationalist/populist/racist impulse politics. Securing exclusive rights does not guarantee success, however. When England Cricket handed the Ashes series to pay television in 2009, their audience fell from 8 million free-to-air to 2 million, and fell further in 2013 to 1.3 million. Evidence exists of similar declines happening here. Australians are well aware of the political intentions of Murdoch and his corporate ilk’s exploitative “paywalls” and they have resisted immense pressure to sign up. Many have given up their allegiances to their favourite teams and headed to their local grounds for a fair dinkum game, or given up altogether on the over-staged and dramatised soap operas that high-level sports are coming to – hence the drop in participation mentioned at the start of this article. Many have sought refuge in quiet and personal pursuits such as walking and jogging, running in the “City to Surf”, cycling etc etc, and many are pursuing the personal challenges of gym-fitness, itself a boom industry in the suburbs. Yet it is difficult to see our overall national fitness and health improving to any great degree when reliant on such casual, individualised and subjective exercise. All too frequently, the lack of social pressure and inspiration means that such pursuits become fads, lacking lifelong commitment. One thing’s for sure: both our national health as well as our beloved sports will surely be ruined if we continue on this corrosively destructive path of “bigger, more professional, more expensive, more alienated” capitalist sport.